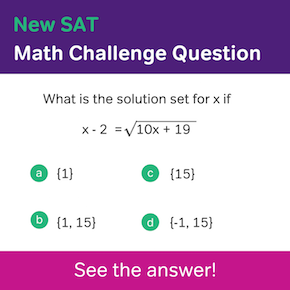 Knowing how to solve linear equations is key for success on the SAT Math section. Linear equations are equations that consist of variables raised to the power of 1. When graphed, these equations produce a straight line. These are simple to solve once you get the hang of it. 1. For linear equations that consist of only one variable, the key is to isolate the variable on one side. 2. Next, get all the constants to the other side of the equation. 3. Lastly, simplify both sides of the equation until you get to the answer. 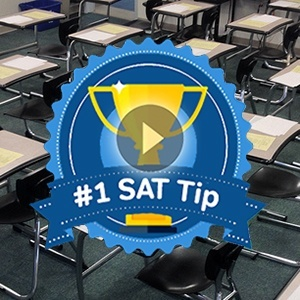 Let’s take a look at a common question type that the new SAT test makers will throw at you. Let’s take a look at both equations and think about it for a second. In the first equation, there is only one variable, and it is raised to the power of 1. Since there is more than one variable in the second equation (x and k), we can’t know for sure what k is unless we solve for x first. We should go ahead and solve the first equation for x before moving on to the next equation. 1. In order to isolate the variable on one side, we need to divide both sides by 6. That yields x = 7. 2. Now we can plug in x = 7 into the second equation. This gives us 7k = 2. 3. 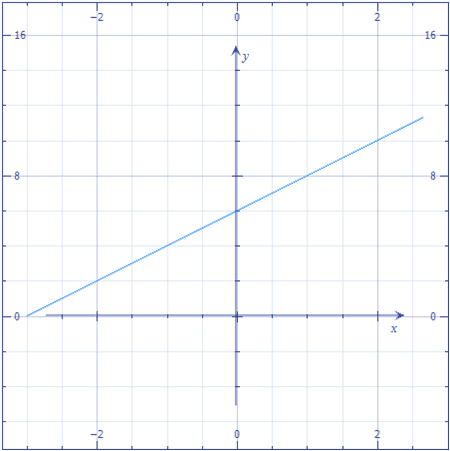 In order to isolate the k on one side, divide both sides by 7. This leaves us with k = 2/7. In this case, the answer is A.
James is budgeting his time to think about the number of classes c he will take this year. For every class that he takes, he believes that he’ll spend 2 1/2 hours each week working on homework. 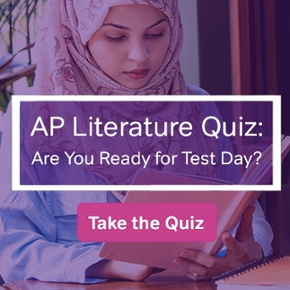 He believes that he’ll spend an additional 6 1/2 hours each week completing the reading work for all of his classes together. If James has 19 hours free every week to finish homework and reading work for his classes, which equation best models this situation? 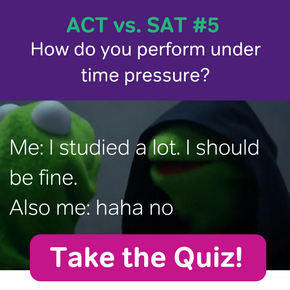 This type of question looks much more involved than the first one, but don’t worry! The key here is to circle keywords so that we can construct an equation quickly and move on to the next question without getting bogged down too much from all the reading we have to do. 1. Circle all the keywords – the variables involved and the numbers that we have to work with. In this case, we have 2.5 hours per class per week, 6.5 hours for reading work per week, and 19 hours of free time. 2. Look at what the question is asking for. Here we want to figure out how many classes James can take in a week given his time constraint (19 hours per week). 3. Put the numbers together and create the equation. We don’t know how many classes James is going to take each week, so we should put a variable after 2.5 to indicate the unknown number. In this case, c = the number of classes. Since James believes that he will spend 6.5 hours total each week for reading work regardless of the number of classes taken, we should add that to 2.5x to represent the total number of hours spent on homework and reading work. James has 19 hours total to complete all of his work, so let’s set 2.5x + 6.5 equal to 19 to figure out the maximum number of classes he can take. Choice B matches our answer! A job well done.